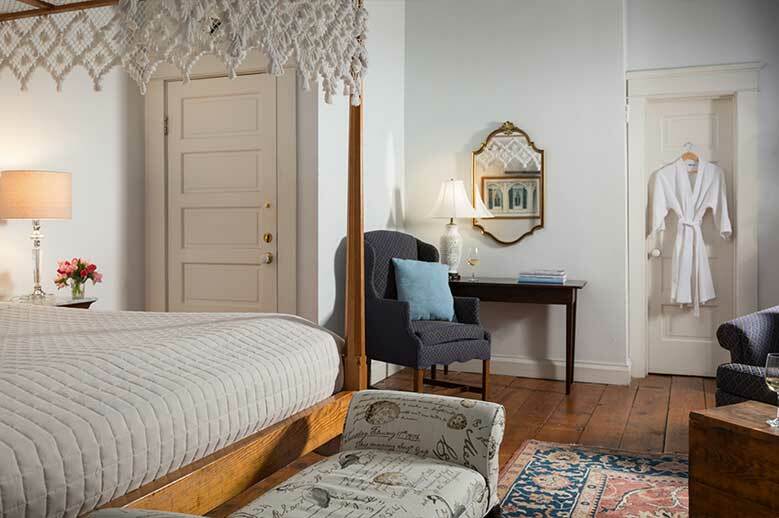 The Queen Anne Suite is located on the second floor at the front of the house with a cathedral ceiling and “packhouse tobacco barn” windows. 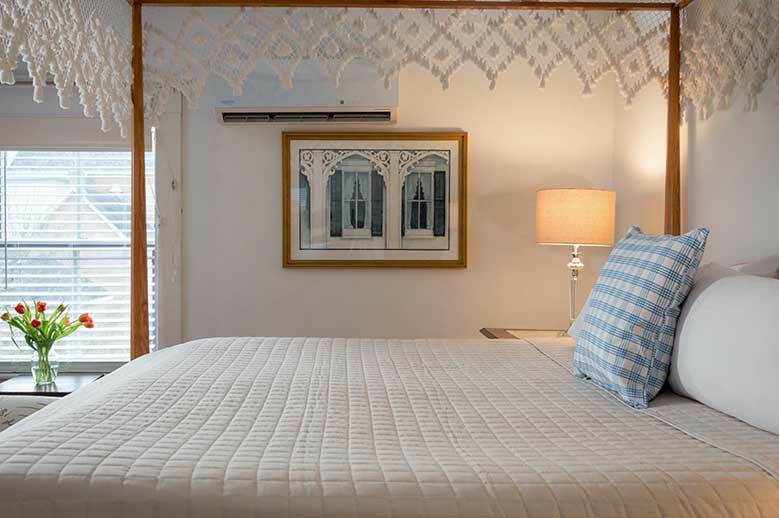 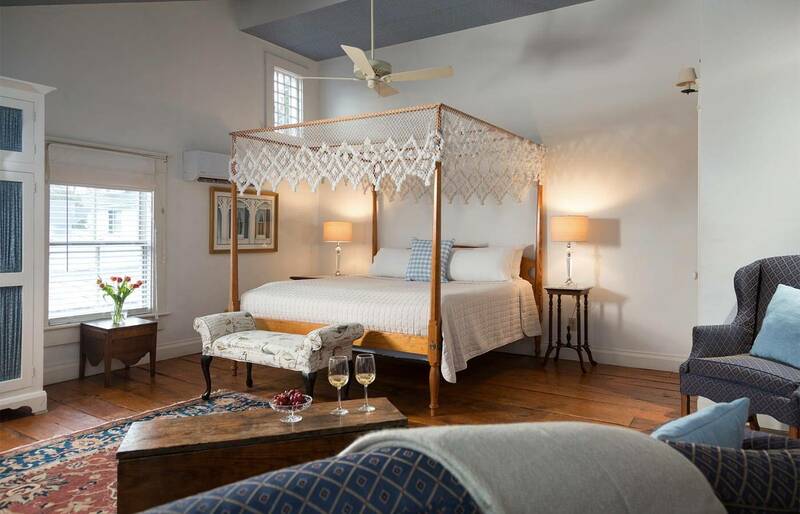 This premier room at our North Carolina East Coast B&B features a hand crafted bed with king sized mattress, quilt and hand tied fishnet canopy. 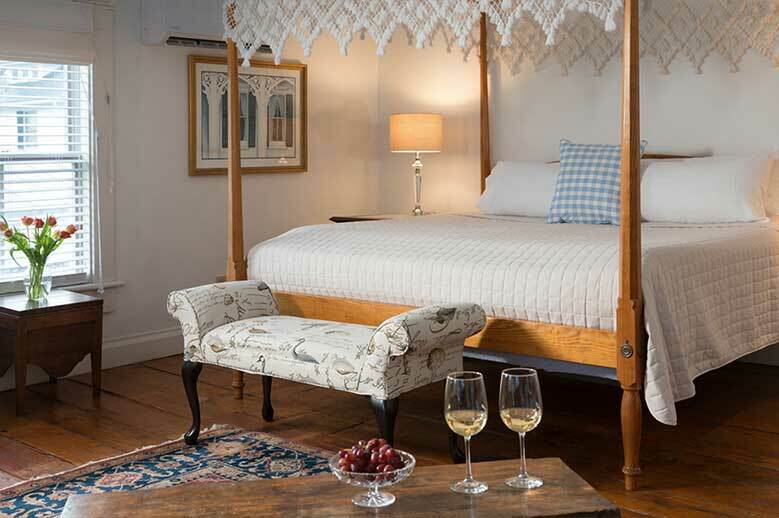 A large sitting area features a sofa that pulls out for up to two additional guests and wing chairs, all decorated in soft blues and whites. 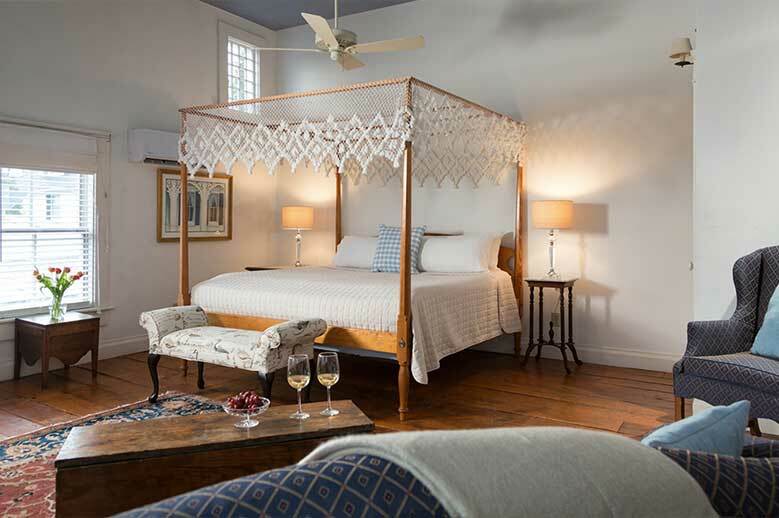 The bathroom with skylight has a separate walk-in shower, tub and oversized vanity. 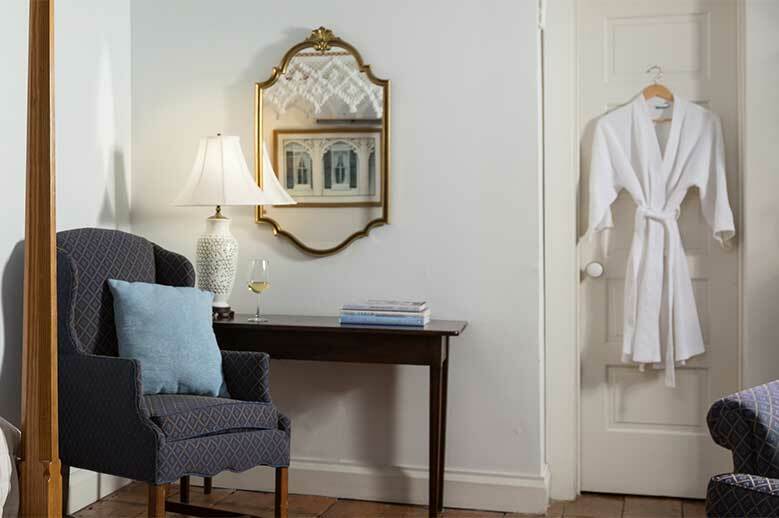 Writing desk, premium towels and robes. 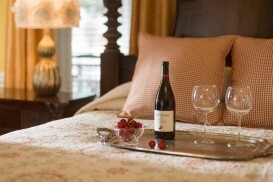 Plan a memorable getaway to our romantic hotel in Edenton, NC.